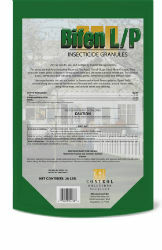 Insecticide Granules that control ants, chinch bugs, fleas, mole crickets, ticks, and other listed insects. Also controls flea larvae and fire ants. Bifen L/P granules are on a high quality sand carrier. Twenty-five pounds treats up to 21,000 square feet.